Last year’s tour took place in the west wing of the asylum. This year’s location has yet to be announced. Easter: Friday the 13th Event to be announced. Friday the 13th Event to be announced. All Saints Lunatic Asylum is not recommended for the faint-hearted, children under 10 and pregnant women. 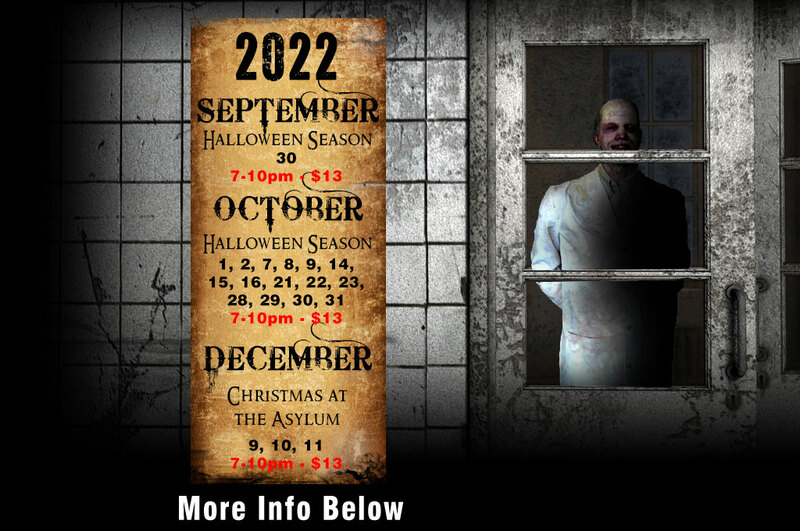 The All Saints Lunatic Asylum is a professional haunted house attraction emulating a real asylum for entertainment purposes. The Content is fictional and any similarities to actual people, places, or situations is purely coincidental.